Last night my wife and went to see the film “12 Years a Slave,” the true story of Solomon Northup, a free black from Saratoga, NY who was kidnapped and sold into slavery in 1841. Eventually, thru the help of friends he was discovered and freed after 12 years. While the story of Northup’s ordeal supplies the plot line, the real purpose of director Steve McQueen is to bring forth in graphic detail, the utter brutality and horror of slavery itself. There is one scene, where Solomon is being hung from a tree such that his feet barely touch the ground so he does not suffocate; the camera fixes on the hanging man for what seems like three or four minutes (but feels like thirty) from all angles and I wanted to scream “someone cut him down!” But no one did, until finally the master comes and lets him down. 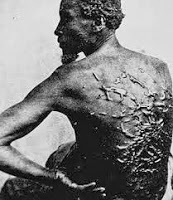 At several other points in the film we watch slaves being brutally whipped and beaten and are then shown their scar-striped backs. In another scene Solomon is ordered to whip his fellow slave, a woman who earlier in the film has begged him to drown her and put her out of her misery; Solomon does so unwillingly but it is either do it or become the victim himself, and I found myself hoping that perhaps at least he could whip her to death to fulfill the young woman’s desire to die – but to no avail she survives. Even when Solomon is freed there is no sense of victory because as the wagon taking him home pulls out, the camera focuses on all his fellow slaves he leaves behind whose suffering one knows will continue. While the film ends with Northup being reunited with his family, there is no joy. I was left with a feeling of deep sadness over the reality of our history that has been sanitized and glossed over, a past white America would rather forget than face, a past we would rather rationalize than repent of. While viewing the Nuremburg trials of Nazi war criminals following World War II, journalist and philosopher Hannah Arendt was struck by what she called the “banality of evil”; that is, how evil can become so normalized that one can participate in evil without thought or deliberate intention. As I watched “12 Years a Slave,” I was struck by the fact that the brutality and inhumanity of the whites toward blacks during slavery was a given, and few if any whites were either aware enough or courageous enough to challenge it. At several points in the movie, various white characters had opportunities to take action to help Solomon regain his freedom and yet backed away out of fear of what might happen to them. This is how oppression works – it breeds fear in both the oppressor and oppressed so that both are paralyzed by the system that keeps them acting and being treated in unjust and inhuman ways. Of the banality of evil Hannah Arendt wrote: “The sad truth is that most evil is done by people who never make up their minds to be good or evil.” That is, the evil is so embedded in our systems and way of life, we see it as normal rather than the evil it is. We don’t have to decide to hurt, maim and dehumanize others, the system and culture in which we live does it for us and we, sometimes unwittingly, but more often operating out of denial, just choose to look the other way. 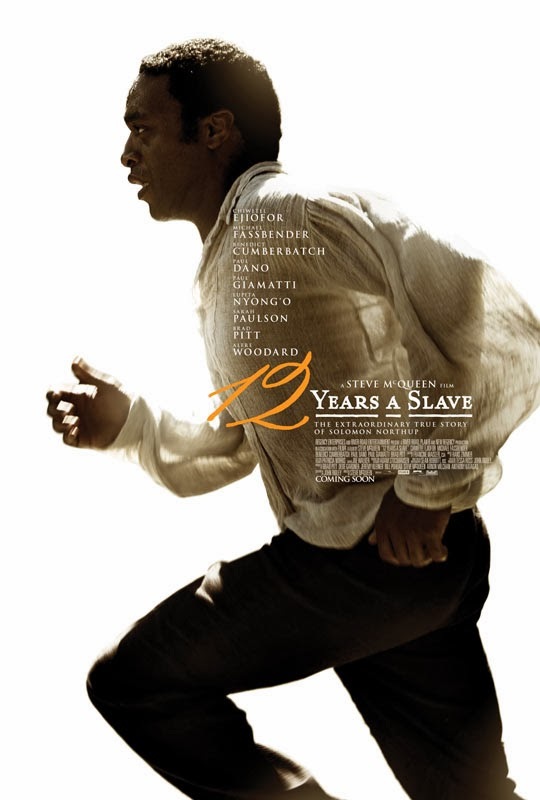 I wept at the end of the movie in part for the horror that was American slavery (recognizing that in many parts of the world slavery still exists), but I also wept because I realized how easily I go along with similar evil in our day. The movie challenges me to keep a critical eye open and to look at the evils in our world directly, and not turn away no matter how painful or uncomfortable or intimidating. I am challenged to be one of those few who through history have been willing to risk safety, security and reputation in pursuit of what is right. I am challenged to look into my own heart and around my own community and to do what I can to remain vigilant, so as not to be seduced by evil’s banality. "12 years a slave", "Roots" and other documentaries on slavery reveal how brutal the institution of slavery actually is. The question we should be asking is how are we, or are we, capable of setting up this banality of evil in a world wide institution and culture? In other words are we that dark or are we so manipulated? This needs to be asked.